LaCie has new eSATA on the horizon, the Rugged eSATA—and the company says it is the first mobile external HD on market with a Power eSATA interface. LaCie says the new Power eSATA connector can get speeds up to 90MB/s and you can use it as a USB drive. The LaCie Rugged eSATA has 500GB and also is compatible with standard eSATA ports when connected up with the USB power-sharing cable. 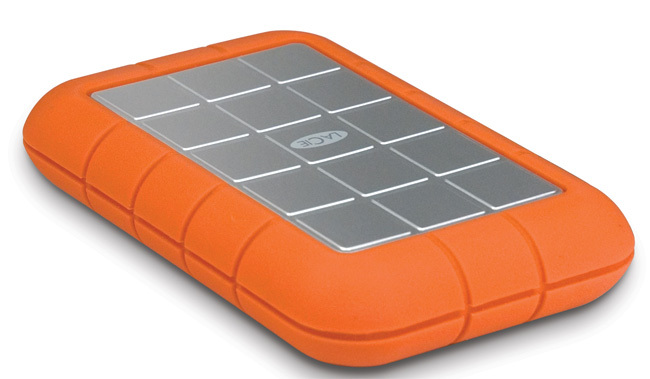 The LaCie Rugged eSATA will be available in 500GB capacity through the LaCie Online Store, LaCie Reseller+ and LaCie Storage Partner starting for $159.99 (VAT included).